The colorful charm surrounding Sonya’s Garden hidden in the cool hills of Tagaytay will captivate you as you await your massage under this beautiful Bed and Breakfast’s serene atmosphere. For the first timers in this blissful sanctuary, Sonya’s Signature Massage is a must-try. Surrender yourself to a well-deserved pampering at Tirta Spa - a world-class health spa offering high quality facilities and wellness therapies. Special treatments such as full-body massages, facials, body wraps, body polishes, aromatherapy treatments are available for both men and women. Amezcua Wellness Centre is an oasis for serenity and rejuvenation with its combination of integrative diagnostic and screening facilities, spa treatments, wellness therapies, and fitness activities designed to guide one towards a healthy lifestyle. 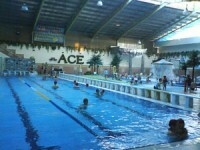 Ace Water Spa is a day spa located in Quezon City. They specialize in providing quality hydrotherapy massage to their customers. 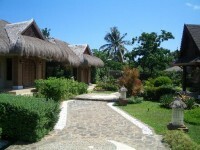 Guests can enjoy up to 5 hour use of their facilities at only 500 pesos. Svelte Wellness Center is a holistic center that offers body treatments that will not only help you look good but feel good as well. They offer membership packages as well as single service treatments. Posh Nails is a foot and nail spa that has a distinct girly atmosphere with its pink and purple theme. Their locations have comfortable couches instead of chairs for a more relaxing experience. California Nails & Day Spa is offers quality pampering for your nails and feet amidst a clean and cozy atmosphere. 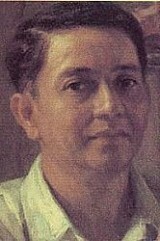 It is located in Alabang Town Center in Muntinlupa City. Blue Water Day Spa offers relaxing massage as well as other face and body treatments to its deserving customers. They have several branches all over the Metro so it won't be hard to find a spa near you.